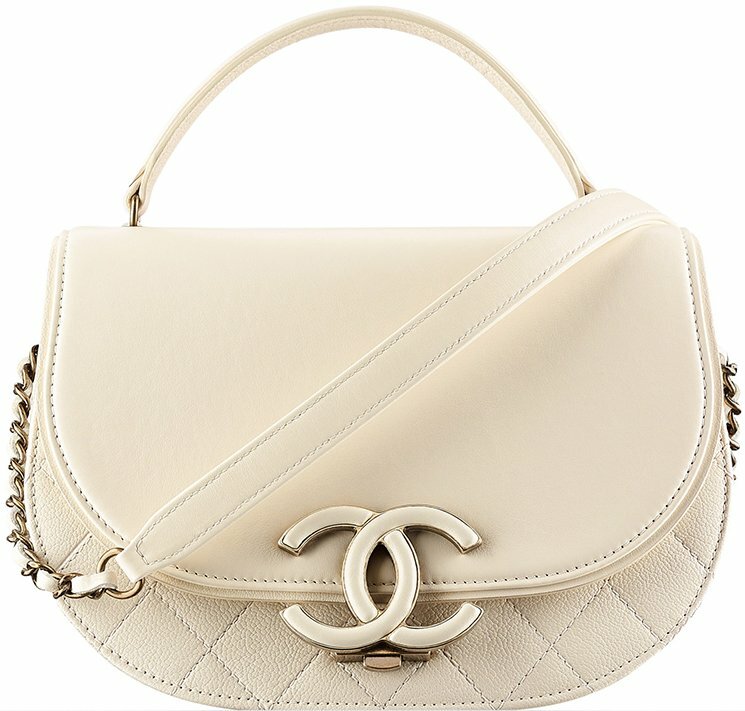 The Chanel Coco Curve Flap Bag is not a new bag, but it’s worth mentioning because it’s gorgeous and it has been featured in two collections so far. This bag was first-introduced in the Pre-Fall 2016 Collection and has returned for the Fall Winter 2017 Collection Act 1. 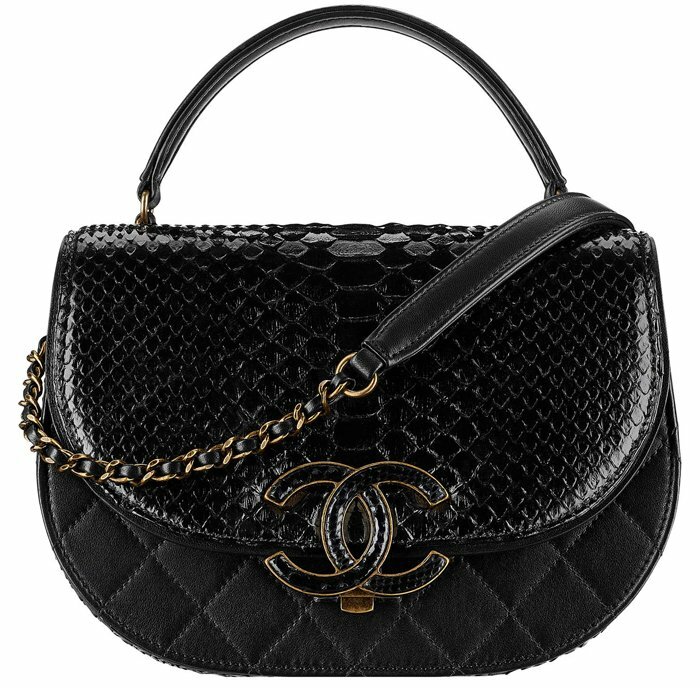 There are two types of the Chanel Coco Curve Bag; this is the shoulder bag version, but there is also a chic tote bag version. The style of the Coco Curve is to look elegant, but at the same also modern. Now let’s dive into the tiny details. 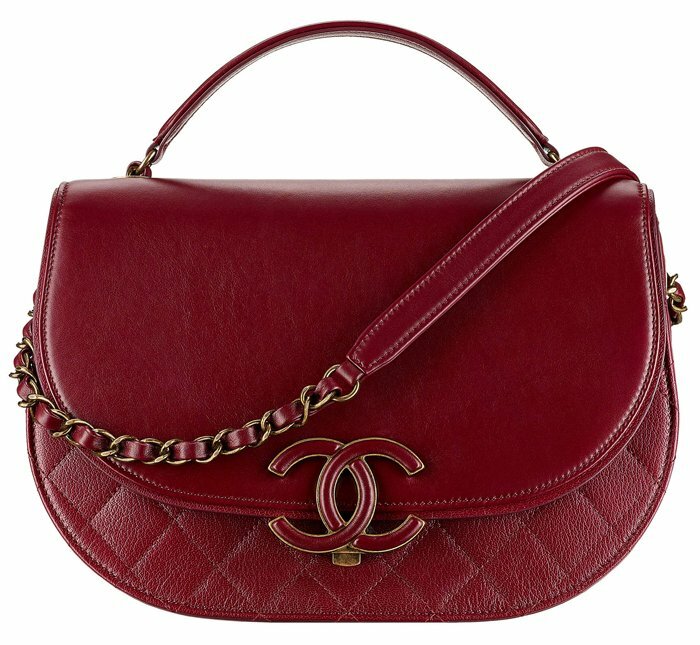 The Coco Curve Flap Bag is quite an exceptional bag because of the way it’s put together. The design is to mix smooth leather with diamond quilting and create an experience between classic and modern. On the Vanity Curve Case Bag, the front is crafted in nice smooth leather while the back is made in diamond quilting. 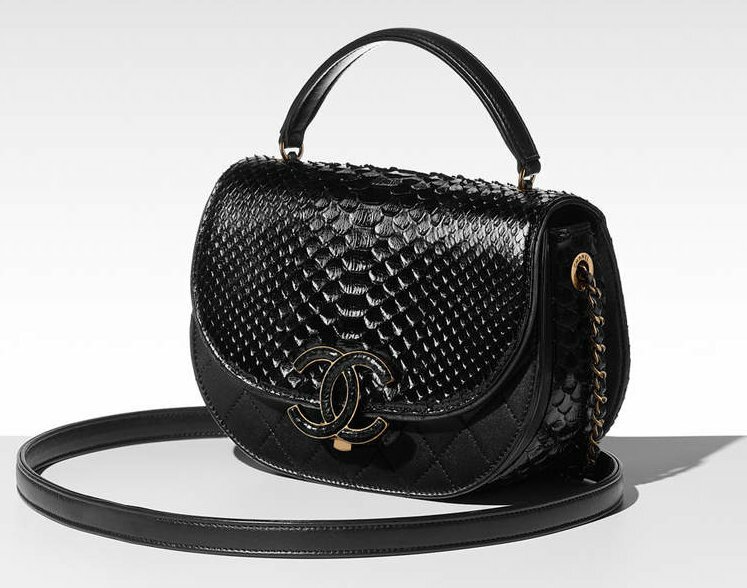 On this Coco Curve Flap Bag, the flap is crafted in smooth leather while the part behind the flap is diamond quilted. However, the sides and the back of the bag are also crafted in smooth leather. 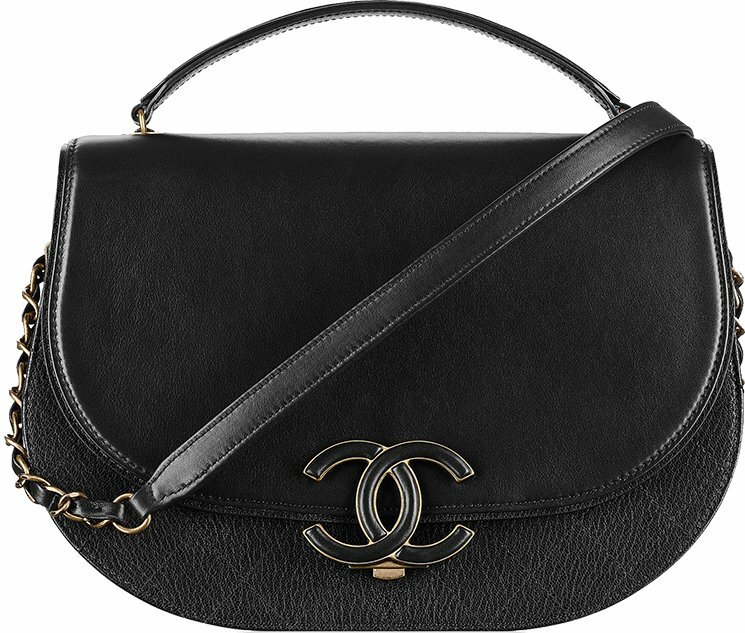 The Coco Curve Flap Bag comes with the woven chain leather strap for carrying on the shoulder or cross body, and there is also a top handle designed for hand-carry. This is truly chic lady-like bag in round shape with a curvy flap to maximize the feminine appeal. But what’s more important is the brand-new large-size CC logo on the front. This logo is an effortless flaunt and it’s colored in the same shade as the bag. 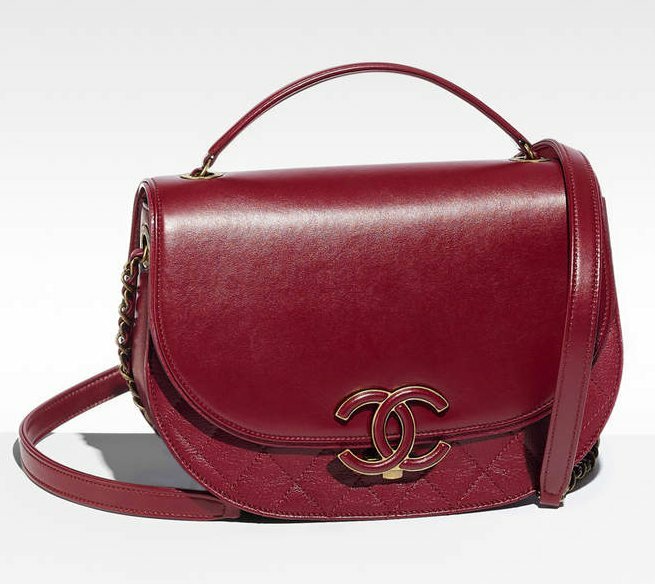 To build this handbag, Chanel picked two different leathers; goatskin and calfskin. Both leathers are impeccable and durable. And oh yes, it comes with a quilted back pocket that can be opened or closed with a zip. 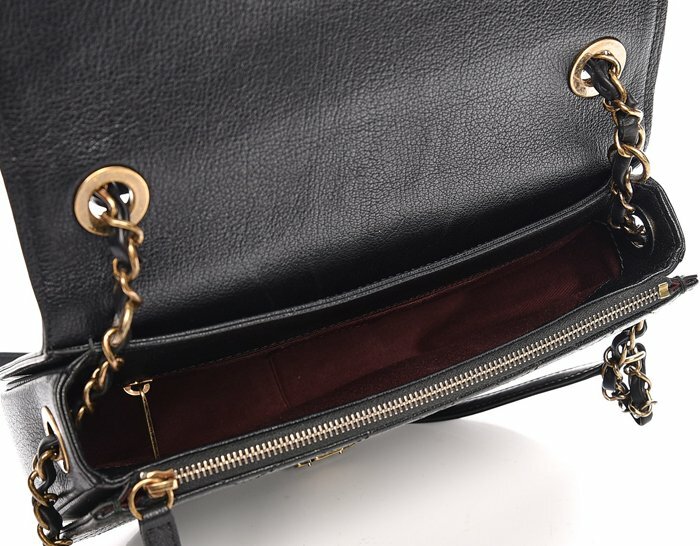 When you open this bag, you will find one large main compartment, but also a zip compartment on the front as well as a zip compartment on the back. So there is plenty of room to organize your personal items, but there are also pockets to store your important essentials.